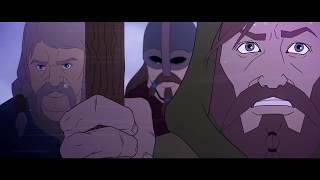 The Banner Saga 3 is the final chapter in the story driven Viking RPG series. As the world continues to crumble around you, who can you trust, how will you protect your allies and what choices will you make as the Darkness draws near? The Banner Saga 3 (PC) is ranked #313 out of 1435 total reviewed games. It is ranked #9 out of 146 games reviewed in 2018.